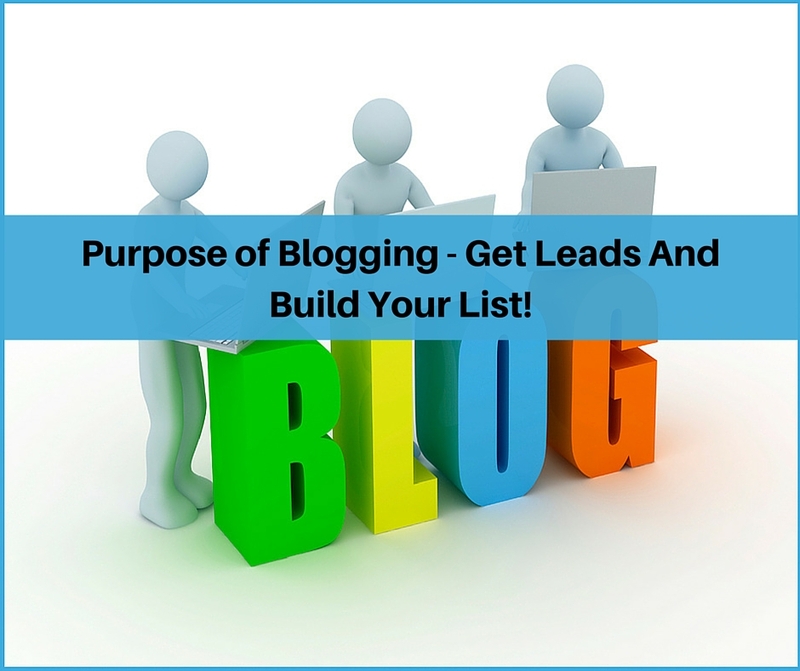 Purpose of Blogging - Get Leads and Build Your List! Purpose of Blogging – Get Leads And Build Your List! Have you ever wondered what the real purpose of blogging is? At the end of the day, why did you spend the time writing that post and promoting everywhere? I probably get ask this 4 or 5 times a week. Why are you blogging and posting so often and my answer is always the same. Towards the beginning of this year, I started blogging after having a blog out there for more than a year. When I say I started blogging what I mean is I started being consistent about putting out content on a regular basis. In the past, I wrote a post periodically meaning once or twice a month. To do that I would agonize for a long time trying to figure out what to write about and all the details of the post. Once I understood the purpose of blogging everything changed for me. I finally understood why blogging a couple times a month just didn’t get it. The Purpose of Blogging – Get Leads And Build Your List! So what is the true purpose of blogging for the online entrepreneur? There is only ONE purpose to blogging. Get Leads And Build Your List!! Everything else is the frosting that makes it work. There are a few things that you need to accomplish becoming a true blogger. I know this is obvious but there are so many people that don’t really understand what a blog is and how to get started using one and posting. I personally use MLSP Sites as my blogging platform because of the cost, security, reliability, ease and speed. You need to have something that can entice your visitors to give you their lead information. Free valuable videos, audios or PDF’s always work great. I use either my own giveaways or the great free content available within MLSP. You need to have a way to actually capture their information. Typically this is what’s called a capture page. Once the visitor clicks on your Lead Magnet they would be taken to a capture page that would require some information before continuing on to the Free Offer. There are many systems out there that will create capture pages for you. Clickfunnels and MLSP Funnelizer are the two that I recommend. Last but certainly not least is your autoresponder system or your list holder. This is where your leads go once they have filled out their information on the capture page to get your Free Offer. Again, there are many options out there, but I prefer Aweber because of its ease of use and cost. It has been around the longest and they really have a great system. There are a lot of schools of thought on this particular subject. What I have found is that somewhere between 4 -7 times a week is the best. When I started posting with this consistency everything changed. I started getting regular leads and of course, my list began to grow. The biggest thing you can do to accomplish this purpose of blogging is to be Consistent. If you enjoyed this post, Purpose of Blogging – Get Leads And Build Your List, then you will like this one too… Does Blogging Consistently Really Work For Getting Leads? Ron, I absolutely love this post. I have learn to enjoy blogging because of MLSP. Great post. Like you Ron I believe you need to blog 4 to 7 times a week. Can be challenging if you are doing this part-time but you need to be consistent. I agree Mark… thanks for the comment. Well, when I started blogging it was simply because I had stuff to say and I just needed to say it to who ever would listen/read. Then, it became useful for creating value – but I was still scared to put a CTA. Eventually, I saw the light and realized the boss value of using my blog to create leads, and it does. Another great post Ron. You are also a great example of practice what you preach. Thanks for sharing! 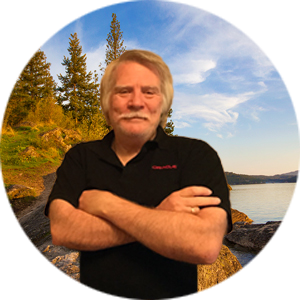 Ron, I’ve been getting the same question…”why do you blog so much?” SO glad I have MLSP & MLSP Sites because they have simplified the entire process of creating content and sharing it with the world. The MLSP tools have helped me a lot and make it so much easier to put all the pieces of the puzzle together! Great post Ron. Purpose of blogging is to make your subscribers educated buyers and customers! Ron you really laid out the goods on blogging in this post. Theres nothing like getting leads and sales through post you have written months and even years ago! Thanks for sharing!! If people thought about the true purpose of blogging, being consistent would be easy. Awesome post on using blogging to generate leads and build your list. Thanks for sharing these tips Ron.